Incredible location for this upgraded 2 bedroom/2 bathroom condo right in the heart of Lincoln Park! Gorgeous finishes, open layout, and sun drenched condo on idyllic tree lined Wilton Street within steps of everything Lincoln Park has to offer. Unit faces West on Wilton and is flooded with natural light. Open floor plan with elegant crown molding throughout, updated white kitchen, with island, granite counter-tops, stainless steel appliances, and back splash. Both bathrooms are upgraded with marble and master bathroom has dual sinks, jetted tub, and separate steam shower. Spacious closets throughout unit. Great outdoor space with private rear deck and huge common garage rooftop. Unit features gas fireplace, central AC and washer/dryer in unit. Great condo in prime Lincoln Park location! 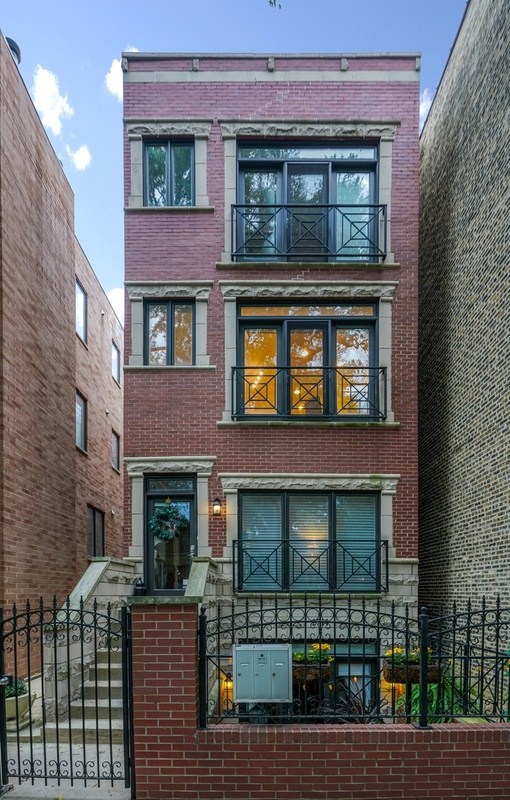 Steps to Brown Line, parks, shops, great restaurants and top-rated schools. Garage parking and extra storage included in price. Low assessments. Condo is not on EL side of the street. Directions 1 Block East of Sheffield. B/W Diversey (South) and Wrightwood (North). Property information last modified by seller on Friday, March 29, 2019, 12:31 PM CDT. Information Deemed Reliable But Not Guaranteed. Unauthorized duplication, use, or linkage is prohibited. The information on this web site is for personal, non-commercial use and may not be used for any purpose other than to identify prospective properties consumers may be interested in purchasing. Monthly Payment Calculator results are for illustrative purposes only, not a financing opportunity; calculations assume a 30-year fixed-rate mortgage and do not include closing and other costs. Property Tax on NEW properties is estimated at 1.5% of Listing Price for payment calculation purposes; actual value may be higher or lower.